^ Hierman, Brent. The Pacification of Xinjiang: Uighur Protest and the Chinese State, 1988–2002. Problems of Post-Communism. 2007, 54 (3): 48–62. doi:10.2753/PPC1075-8216540304. ^ Rudelson, Justin Ben-Adam. Uyghur "separatism": China's policies in Xinjiang fuel dissent. Central Asia-Caucasus Institute Analyst. 16 February 2000 [29 January 2010]. （原始內容存檔於2012年2月29日）. ^ Gunaratna, Rohan; Pereire, Kenneth George. An al-Qaeda associate group operating in China? (PDF). China and Eurasia Forum Quarterly. 2006, 4 (2): 59. （原始內容 (PDF)存檔於2011-01-06）. Since [the Ghulja incident], numerous attacks including attacks on buses, clashes between ETIM militants and Chinese security forces, assassination attempts, attempts to attack Chinese key installations and government buildings have taken place, though many cases go unreported. ^ 申華. 廣東加緊處理韶關事件涉嫌人員. VOA. Jul 7, 2009 [2009-07-08]. ^ 參與打砸搶燒分子相當一部分來自喀什、和田等地. 中國中央電視台. 2009-07-11 [2009-07-14]. ^ 再度否認策劃騷亂 熱比婭吁國際組團調查真相. 加拿大都市網. 2009-07-08 [2009-07-09]. ^ 韓詠紅. 新疆暴亂在市民心中劃出裂痕. 聯合早報. 2009-07-26 [2009-07-29]. ^ 韓詠紅. 維族資深記者海來特： 暴徒呼喊「建政教合一國」，策劃者或是「伊扎布特」. 聯合早報. 2009-07-26 [2009-07-29]. ^ 維族人：示威本和平 官員否認向維人開槍. 明報. 2009-07-08 [2009-07-10]. （原始內容存檔於2012-07-17）. ^ 加藤嘉一. 新疆西藏問題的癥結. 亞洲周刊. 2012年5月27日. ^ 李曉玲. 烏魯木齊市市長:正對死者身份進行DNA辨認. 新華網. 2009-07-08 [2009年7月8日] （中文（簡體）‎）. ^ 來源新華社. 烏魯木齊市委書記栗智：對殺人分子要處以極刑. 人民網. 2009-07-09 [2009-07-09]. （原始內容存檔於2009-07-13） （中文（簡體）‎）. ^ 張景勇. 孟建柱在新疆看望7·5事件受傷群眾和遇害同胞家屬. 中國政府網. 2009-07-08 [2009-07-09] （中文（簡體）‎）. ^ 視頻 孟建柱：對殘害同胞的兇手將依法嚴懲. 央視網. 2009-07-08 [2009-07-09] （中文（簡體）‎）. ^ 烏魯木齊氣氛緊張 死亡人數上升. BBC. 2009-07-06 [2009-07-07]. ^ 45.0 45.1 45.2 美維人組織反駁中國「教唆」說法. 美國之音. ^ 新疆烏魯木齊騷亂140人死亡. BBC. 2009-07-06 [2009-07-07]. ^ 49.0 49.1 世維大會指控中國官方煽動漢維衝突. 中央社. 2009-07-07 [2009-07-10]. （原始內容存檔於2016-03-04）. ^ 丹增嘉措對新疆暴力表關注. 美國之音. 2009-07-09 [2009-07-10]. ^ Radio Free Europe/Radio Liberty. Uyghurs Abroad Blame China Policies For Unrest. Radio Free Europe/Radio Liberty. 2009-07-07 [2009-07-07] （英語）. ^ Today's Zaman. Tension runs high as China cracks down on Uighur riot. Today's Zaman. 2009-07-07 [2009-07-07]. （原始內容存檔於2009-07-10） （英語）. ^ 土耳其希望中國政府儘快將烏魯木齊「7·05」事件製造者繩之以法. 新華網. 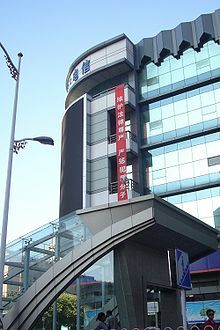 2009-07-06 （中文）. ^ APA. Brutality against Uighurs must be prevented. APA. 2009-07-08 [2009-07-08] （英語）. ^ BBC. 土耳其促北京結束新疆"暴行". BBC. 2009-07-08 [2009-07-08] （中文）. ^ BBC. 土耳其總理保證允許熱比婭入境. BBC. 2009-07-09 [2009-07-09] （中文）. ^ BBC. 土耳其總理形容新疆騷亂為「屠殺. BBC. 2009-07-10 [2009-07-10] （中文）. ^ BBC. 土總理促請中國停止「同化」維族. BBC. 2009-07-11 [2009-07-11] （中文）. ^ 61.0 61.1 Radio Australia. International reaction to Uighur protest violence. Radio Australia. 2009-07-07 [2009-07-07] （英語）. ^ Martin, Dan. China says over 1,400 arrested for Xinjiang riots. Jakarta Globe. 2009-07-07 [2009-07-07]. （原始內容存檔於2009-07-10） （英語）. ^ 俄外交部說新疆發生的事情屬中國內政. 新華網. 2009-07-08 [2009-07-08] （中文（簡體）‎）. ^ 阿富汗支持中國政府打擊恐怖和分裂勢力的一切努力. 新華社. 2009-07-08 [2009-07-08] （中文（簡體）‎）. ^ Saad, Imelda. (July 9, 2009). Singapore urges restraint in Xinjiang, China. Channel News Asia. 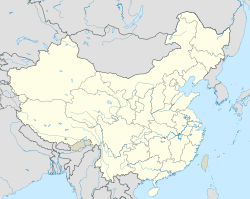 ^ Vietnam expresses support for China's handling of Xinjiang unrest. Xinhua. 8 July 2009. ^ Jakarta Post. UN rights chief alarmed by death toll in China. Jakarta Post. 2009-07-07 [2009-07-07]. （原始內容存檔於2009-07-08） （英語）. ^ 上海合作組織就烏魯木齊「7·5」事件發表聲明. CCTV.com. 2009-07-11 [2009-07-12]. ^ 76.0 76.1 76.2 76.3 熱比婭歪曲暴力事件引網民質疑和嘲諷. 新華網. 2009-07-14. ^ Uighur leader's family 'blame her' for unrest: report. MSN. [2009-08-04]. ^ 外媒稱「熱比婭親屬信件造假」 新疆官員反駁. 搜狐新聞引用《環球時報》. 2009-08-04. ^ 86.0 86.1 86.2 86.3 86.4 86.5 歐洲華僑華人譴責"7·5"打砸搶燒嚴重暴力犯罪事件. 新華網. 2009-07-08. ^ 華僑華人譴責烏魯木齊暴力事件 關切受害同胞. 新華網. 2009-07-08. ^ 新疆維漢大衝突中的中共陰謀. 希望之聲. 2009-07-10. （原始內容存檔於2009-07-15）. ^ 中共是禍害各族民眾的總根源. 希望之聲. 2009-07-18. （原始內容存檔於2016-03-09）. ^ 通化事件凸顯太子黨的貪婪與黨內爭端的白熱化. 希望之聲. 2009-07-28. （原始內容存檔於2009-08-01）. ^ 維族人及支持者在華盛頓示威抗議. 美國之音. 2009-07-08 [2009-07-10]. ^ 97.0 97.1 「疆獨」分子襲擊中國駐土耳其和挪威大使館. 中國新聞網. 2009-07-08 [2009-07-09] （中文（簡體）‎）. ^ 加拿大維族人中領館前集會抗議武力鎮壓. 自由亞洲電台. 2009-07-09 [2009-07-10]. ^ 熱比婭要求美國扮演「重要角色」 在烏市建領館. 環球時報. 2009-07-09 [2009-07-09]. ^ 維族人雪梨領事館前抗議. 澳洲日報. 2009-07-08 [2009-07-09]. （原始內容存檔於2009-07-10）. ^ Associated Press. Uighurs stage protests in Turkey, Norway. Associated Press. 2009-07-07 [2009-07-07] （英語）. ^ 世界各地維族支持新疆維族. 美國之音. 2009-07-09 [2009-07-10]. ^ 人民網. "7·5"事件中260餘輛機動車被燒被砸 2樓房被焚毀. 人民網. 2009-07-07 [2009-07-07] （中文（簡體）‎）. ^ 疆獨組織指六至八百人死亡. 明報即時新聞網. 2009-07-09 [2009-07-09]. （原始內容存檔於2009-07-10）. ^ 新疆暴亂趨緩 維族估：至少600人喪生. 聯合新聞網. 2009-07-09 [2009-07-09]. ^ Macartney, Jane. Chinese Han mob marches for revenge against Uighurs after rampage. Times Online. 7 July 2009 [7 July 2009]. ^ Poor Migrants Describe Grief From China's Ethnic Strife. The New York Times. 8 July 2009 [9 July 2009]. ^ 烏魯木齊交通管制解除(組圖). 網易（轉自新華網）. 2009-07-08 [2009-07-08] （中文（簡體）‎）. ^ 李曉玲 李建敏. 逾百家境外媒體赴烏魯木齊採訪「7·5」事件. 網易（轉自新華網）. 2009-07-08 [2009-07-08] （中文（簡體）‎）. ^ 張春賢「個性化」治疆這6年. 新京報. 2016-04-13 [2016-04-13]. ^ 136.0 136.1 136.2 漢族嗆要復仇 烏魯木齊宵禁. 蘋果日報（台灣）. 2009-07-08 [2009-07-08]. ^ 視頻-烏魯木齊「７·５」打砸搶燒嚴重暴力犯罪事件新聞發布會. 央視網. 2009-07-07 [2009-07-07] （中文（簡體）‎）. ^ 中華人民共和國外交部. 2009年7月7日外交部發言人秦剛舉行例行記者會. 2009-07-07 [2009-07-07] （中文（簡體）‎）. ^ 境內外媒體採訪烏魯木齊不受限凸顯信息公開透明. CCTV. 2009-07-09 [2009-07-09] （中文）. ^ 141.0 141.1 烏魯木齊星期二繼續爆發抗議活動. 美國之音. 2009-07-07 [2009-07-07]. ^ 烏魯木齊街頭出現手持簡易武器的漢族示威者. 華爾街日報. 2009-07-07 [2009-07-07]. 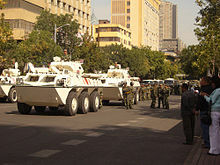 ^ Han Chinese mob takes to the streets in Urumqi in hunt for Uighur Muslims. The Telegraph. 7 July 2009. ^ 劫後的烏魯木齊. 新世紀新聞網. 2009-07-10 [2009-07-11]. ^ 海藍. 新疆有漢人偽造針扎案騙取政府高額撫恤金. 自由亞洲電台粵語. 2009-09-10 [2009-09-15]. ^ 烏魯木齊掀避難潮. 明報. 2009-07-10 [2009-07-10]. ^ 漢維兩族逃亡避亂. 東方日報. 2009-07-10 [2009-07-11]. ^ 火車站人流如常. 大公網. 2009-07-11 [2009-07-11]. （原始內容存檔於2009-07-15）. ^ 維族聚居區再封路 防再出現群眾事件. 明報. （原始內容存檔於2009-07-15）. ^ 「疆獨」分子加緊境外鬧事 竟襲擊中國旅遊團. 環球時報. 2009-07-10 [2009-07-10]. ^ 北京禁律師接涉疆案. 蘋果日報. 2009年7月14日 [2009年7月17日]. （原始內容存檔於2012年7月9日） （中文）. ^ EU parliament rights head calls for Uighur inquiry. 路透社. ^ 烏魯木齊警民衝突3港記者被扣查. 星島日報. 2009-09-04 [2010-05-15] （中文（繁體）‎）. ^ 至少兩示採訪證 武警反質疑「偽造」明報. 2009-09-05 [2010-05-15]. （原始內容存檔於2009-09-09） （中文（繁體）‎）. ^ 166.0 166.1 166.2 166.3 －新疆官員：記者應服從管理. 明報. 2009-09-04 [2010-05-15] （中文（繁體）‎）. ^ 新疆維吾爾自治區人民政府新聞辦公室. 新疆互聯網業務全面恢復. 天山網. 2010-05-14 [2010-05-14].